Founder of one of the world’s foremost luxury yacht brokers, Nick Edmiston, by his own admission, has led a charmed life. In an exclusive interview with Chief Executive Officer, he discusses with Ross Davies his personal philosophy on selling, how his business survived the recession and where he sees future growth for the industry coming from. "You'll have to forgive the seagulls," says Nick Edmiston jovially as we ensconce ourselves on board his yacht, moored in the resplendent French Riviera. It is a setting in which Edmiston is unashamedly at ease. He has called Monaco home since 1996, the year in which he established his luxury yacht brokerage firm Edmiston & Company. Since then, the group has established itself as one of the most powerful hitters in perhaps the world's most lucrative realm; luxury yachts still remain the ultimate big-ticket item when it comes to inordinate displays of wealth. "There's a lot of ego in the business, no doubt about it," admits Edmiston. "In fact, I would say money has little to do with it at the end of the day. Buying a yacht is not an investment in terms of making money, or getting a good deal; it's about investment in life and learning how to enjoy it." "Luxury yachts still remain the ultimate big-ticket item when it comes to inordinate displays of wealth." Listening to Edmiston, it's difficult to imagine his life away from the Riviera. Yet, his formative working years were spent slogging it out in the boardrooms of the city of London, before making what would be his defining break. "I got bored of it," he says, referring to his time in London. "So I decided to join a friend of mine who had a boat business. That was over 40 years ago, and, since then, I've not looked back - although I've probably become increasingly more unemployable during that time." This good-humoured insouciance clearly belies a steely business resolve. Edmiston & Company, today, has 80 offices spanning the likes of New York, Mexico City and Abu Dhabi, and is commonly regarded as a leader in the sale, charter, management and construction of some of the world's largest yachts. Impressively, while Edmiston & Company was not impervious to the pains of the financial crisis, the group was still able to drive growth during this period, while many of its competitors faltered through lack of demand. "Let's be clear, the market was a difficult place around 2008-09," says Edmiston. "Those were tough years for us, too, but what we managed to do was keep in touch with the people and countries that were still prepared to spend their money on luxury yachts. We were able to speak with those individuals and educate them on how to spend new money." Going back even earlier, the emergence of Russia's moneyed elite - enamoured with free-market economics - in the '90s couldn't have come at a better time for Edmiston, as he looked to expand his burgeoning business. "I was one of the first people to get into the Russian market, which has turned out to be a really strong area," says Edmiston. "I've sold quite a lot of yachts to Russians over the years, and that became an important part of our business, particularly from the late '90s onwards. At one time or another, Russians have accounted for more than 50% of our business." And now? According to Edmiston, the luxury yacht sector has remained in rude health through the continuous willingness of its patrons to spend vast sums of money; this goes for developing and established marketplaces. "The money is coming from various areas at the minute," explains Edmiston. "For instance, we recently sold a yacht to an Indonesian; while the Arab world is busy right now. America is coming up again, too. That's not to mention the developing countries like Brazil and Mexico, where we are growing our presence." Edmiston describes himself as being in the "education business", in so far as his position as mediator between potential buyers and the shipyards where designs are finally realised. This, he says, usually involves developing a clear insight into the needs of his clients with solutions delivered on an ad-hoc basis. "Our focus is based around giving people a really personal service," he says. "It's also about making sure the individual is making the right choice in buying a yacht. I would say one of our strengths is the honesty we have with our customers. "Edmiston describes himself as being in the “education business”, in so far as his position as mediator between potential buyers and the shipyards where designs are finally realised." "First and foremost, we tell them, you've got to be able to afford it. I always say to people, never spend more than 10% of your net worth on buying a yacht, and that it is going to cost you roughly 10% a year to run it. If you wake up in the morning and think, 'Hell, that goddamn yacht', you shouldn't have bought it in the first place." 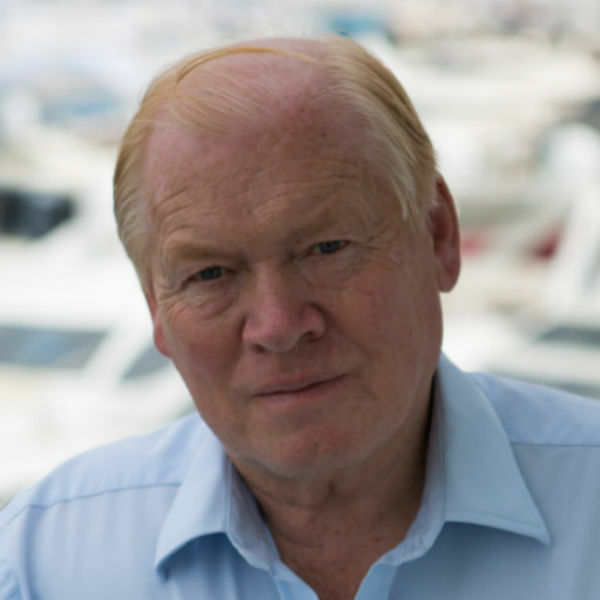 While the lion's share - 60% - of Edmiston's income derives from sales, in keeping with this "only buy if you can afford it" philosophy, he advocates potential buyers with scant previous experience of owning a yacht to try chartering one beforehand, so as to see if they are well suited or not. "Charters are an important part of our business," he explains. "It is often the best way in for first-time buyers, who might then go on to buy a second-hand yacht. I would discourage somebody who turned up and said, 'I want to build a new yacht, but I have never been on one before'. I would advise them to instead try three different yachts over two weeks, and get a feel of what they like, and whether they want to proceed." Such counsel is clearly highly regarded by his customers; of whom several now constitute Edmiston's "close and personal friends". It is arguably this hands-on approach that has kept his business ahead of much of the competition. Speaking of which, how does he view his peers across the current luxury yacht brokerage landscape? "Well, first off, there are a lot more people in the market than there were when I started," he answers. "A lot of guys were actually trained by me. There are some good people out there, but I would say that we are still very much at the top. I'm probably a bit older than some of the people in the business; the next successful person in the business is probably about half my age. But it goes to show - even if you are old and decrepit, you can still run a successful business." Clearly much has changed since Edmiston first dipped his toe into the industry. For one, he says, on-board technological amenities and communications are now indispensable for owners, in line with modern, round-the-clock business routines. Yacht manufacturers have tailored designs accordingly. "On-board technological amenities and communications are now indispensable for owners, in line with modern, round-the-clock business routines." "Obviously, one of the things that has made a huge difference is communications," he says. "Today, a CEO can sit on the back of a yacht in their shorts while conducting a takeover battle in New York. That is one of the major things that has changed yachting, and has changed the use of these yachts. It's not surprising given how communications have really altered the world over the last decade or so. The way we do business has changed." With the after-effects of the global recession gradually giving way, the luxury yacht sector finds itself looking to the future with a renewed sense of optimism. Yet, while emerging markets could play a considerable role in driving growth, Edmiston is also quick to counter any claims that China will be leading the way - contrary to common opinion. "I was there last year, and I'm going back again later this year," he states. "I think that we will see business there, but I don't think there will be a lot at the big end to start with. This really relates to the question of how different cultures understand and appreciate the lifestyle that comes with owning a boat - yachting is still relatively new to the Chinese." Whether China - and indeed India - joins the party remains to be seen. For Edmiston, however, the business of luxury yacht brokering carries the same golden allure that it did 40 years ago when he first left London. "I still work, on the whole, seven days a week, although no longer 24 hours a day - it's more like a mere 16 now," he says. "You need to keep on top of it, but I've got a great, young, vibrant team around me, too, which is why we've got this flourishing business. I still get a thrill out of doing it." Edmiston & Company was founded by chairman Nicholas Edmiston in Monaco in 1996. Initially, with offices in Monaco and London, the company grew over the next decade with offices opening in international locations including Mexico City, New York and Abu Dhabi.